KONTAN.CO.ID - JAKARTA. 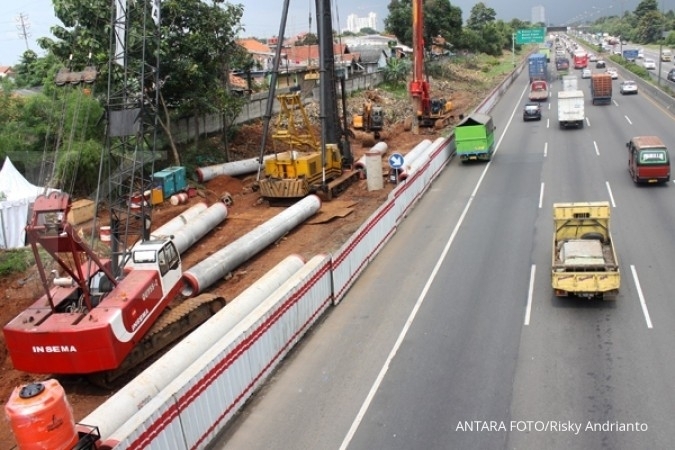 The Jakarta Transportation Agency is detouring traffic at Simpang Kuningan, South Jakarta, every day from Feb. 2 to Aug. 19 overnight, to allow for the installation of a long span box girder for the Cawang-Dukuh Atas section of the Light Rail Transit (LRT). 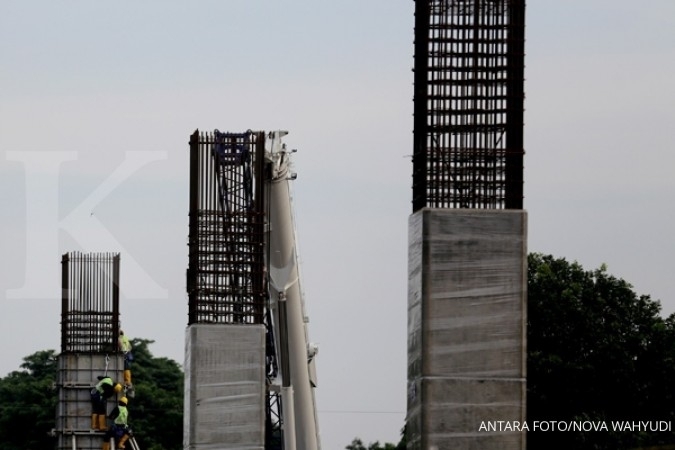 Acting Head of Jakarta Transportation Agency Sigit Wijatmoko said 17 box girder box segments would be installed above the junction. Each segment requiring 10 days to install. 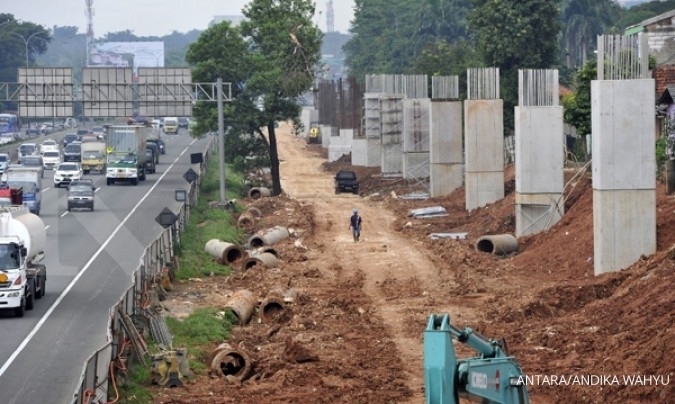 “Traffic is being adjusted to allow the work to progress,” Sigit said on Sunday as quoted by Kompas.com. 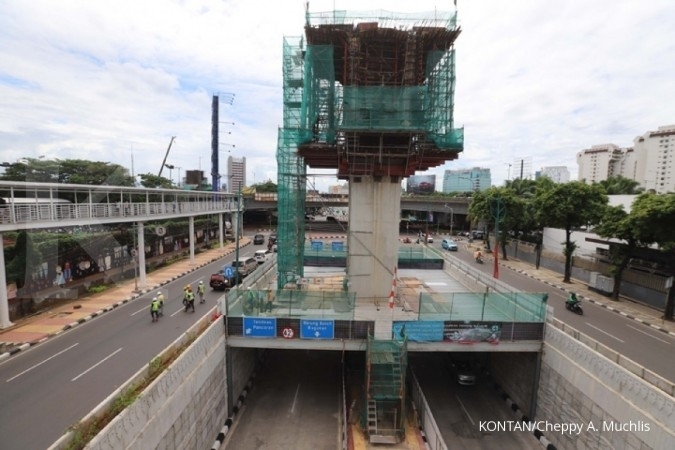 He said vehicles from Mampang to Menteng passing through the underpass would be diverted every day from 11 p.m. to 4 a.m.
Traffic from Menteng to Mampang, Pancoran and Semanggi passing along the slow lane, will be diverted in front of Tempo Scan Tower via Jl. Patra Terusan – Jl. Gatot Subroto - and make a U-turn in Simpang Pancoran - Simpang Kuningan before going straight toward Semanggi or turning left to Mampang or Tegal Parang. During the diversion, road users can use the fast lane on Jl. HR Rasuna Said through the underpass to Mampang and turn left to Pancoran or choose to turn around at Mampang Tendean intersection and then turn left toward Semanggi. “We hope that road users can adjust to the diversions, obey the traffic signs and instructions from officers and prioritize road safety," Sigit said.